I love trying new recipes and coming up with new flavor combinations for cookies, but the recipe I turn to most often is our basic sugar cookie. It's the one we print on thousands of our cookie cutter tags, and for good reason—it's easy to make, sturdy, and delicious. The dough bakes up into buttery, not-too-sweet cookies that take well to icing but are good to eat plain, and can be frozen (well-wrapped) until you need them. This recipe is an essential part of my holiday baking repertoire, and it should be part of yours, too. 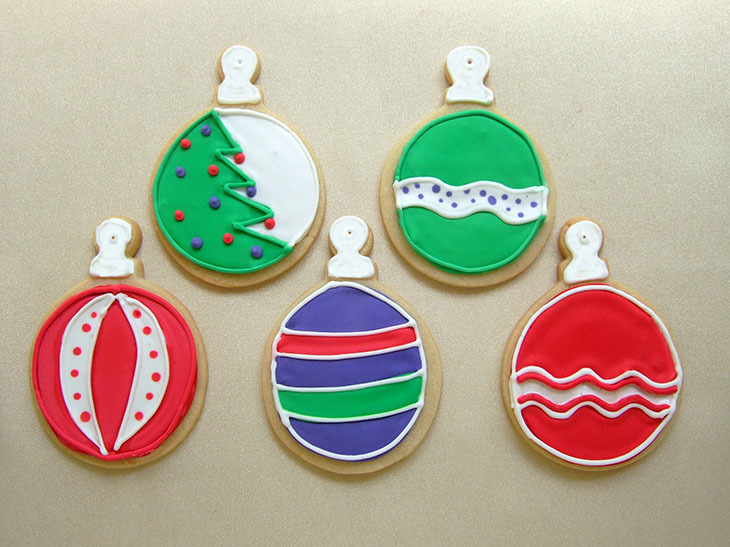 Of course these cookies can be cut in any shape, but the ornament seems especially fitting for the "back-to-basics" theme. Its simple outline lends it to endless decorating possibilities…you can use royal icing (as I did here), buttercream, ganache, or sanding sugar (or a combination) and create a whole tree's worth of assorted ornaments—it's great fun. My favorite shapes for Sugar Cookies include the Ornament cookie cutter, the Stocking cookie cutter, and the Santa Cookie Cutter.